Vaping Social Media Service. Let Vape-Marketing.com, experts in Digital Marketing, take on your social media and grow out your audience! For a monthly fee, we will use our online digital expertise to grow your market share using social media, Facebook, Instagram, Twitter and Pinterest accounts, reach a wider audience and make more money. Our Vaping Business Social Media Service will propel your vaping business to the moon, try us out today. 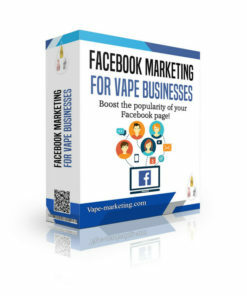 Whether you run a vape shop, an e-liquid brand, online vape shop or a wholesale business, you will know that it is extremely difficult to get Facebook post likes and shares, especially now that Facebook has banned vape advertising. Our Vaping Business Social Media Service will organically grow your business using the power of social media. However, Facebook post likes and shares remain a very important reputation factor in the eyes of your customers and competitors. Equally, Facebook post likes and shares are an important SEO factor because each post like and share creates social signals which in turn helps your website to rank. Our team of professionals can engage our lead generation techniques to get real people from around the world to like and share your Facebook posts over a period of time. Our Vaping Social Media Service is an essential service that any vaping business today needs to be running. We do not use fake Facebook accounts, bots or anything automated simply because these tools no longer work with Facebook given its latest algorithms that can detect a bot in one minute. All of our work is done through associated Facebook groups with large numbers of followers and our lead generation websites. The bottom line is that your Facebook posts will acquire hundreds or even thousands of likes. Now how would you perceive a business with hundreds of posts without any likes and a business with ten posts with a few hundred likes each? Visit our website to learn about the other services we offer to grow your vaping business. 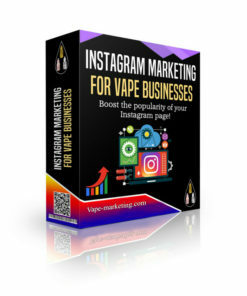 Vape Social Media Marketing is absolutely essential in this Digital Age. Allow the top Global Vaping marketing agency manage your social media presence online and grow your vaping business exponentially. We work closely with you maximise engagement and the reach of social media in drawing to you new clients and increase your sales globally. Our Social media marketing packages are the best on the internet.